Besides providing Latchkey Children calling services, Database Systems Corp. (DSC) offers an affordable and expandable telephone reassurance system called CARE (Call Reassurance). CARE systems have been installed at many police and sheriff's departments throughout the U.S. These systems are capable of calling seniors to check on their well-being. CARE systems also can check in on latchkey kids and remind seniors to take take their medications. Our CARE program is a voice broadcasting service that automatically calls a resident and plays a recorded prompt, asking "Are You OK?". If the resident answers the call, the system knows automatically that resident is OK. The CARE recipient can optionally press a phone key to acknowledge that they are OK as well or request emergency or non emergency contact. The entry level CARE phone system is called the WIZARD phone system and is configured with 4 analog phone lines, capable of calling up to 4 individuals at a time. 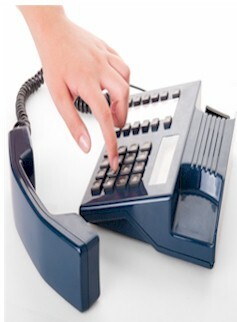 There are two types of CARE phone systems that DSC provides. Although the Basic CARE system is limited to the call reassurance program only, it can be upgraded in the future if your telephone reassurance needs expand or if you elect to use this system for emergency broadcasting. Since our advanced PRO CARE system is capable of performing emergency broadcasting, it is important that this system can grow. Our CARE application and database can be easily ported to our PACER Phone system which supports multiple T1 digital phone lines. Contact DSC to learn more about our CARE latchkey kids phone system. "The City of Odessa Public Safety Communications Center is located in the Municipal Plaza in Odessa. The Communications Center is a consolidated (Police/Fire/EMS) Communications Center. The Communications Center employees 27 Dispatchers who are responsible for dispatching police units, fire apparatus and medics to any location requested. Additionally, they are responsible for answering all incoming 9-1-1 calls as well as all non-emergency calls requiring service." The CARE phone system from Database Systems Corp. was provided to the City of Odessa Police Department to check on the well-being of disabled persons, older adults, and individuals who live alone within the city limits. CARE Latchkey Kids phone systems have many features and options that allow you to configure your telephone reassurance calling program to fit your needs and those of your CARE recipients. Here are some of these more important features. CARE dialer sends automatic phone messages over multiple phone lines at once. Answering machines do not need to be turned off by CARE recipients. Greeting messages can be customized and randomized, per CARE recipient. This message could include a reminder to take a medication. Alerts can be sent by phone and email plus an alarm at the CARE monitor center. First response can come from family members, friends, or volunteers with the police and fire department as a backup resource. CARE can connect volunteers, family or friends for non-emergency conversations. CARE phone can deliver emergency notifications to community members or staff. CARE systems can be managed and monitored remotely. Our CARE (Call Reassurance) phone systems are NEW office environment systems using computer telephony boards from Intel / Dialogic. We custom integrate each CARE phone system at our facility so that you simply plug in your analog lines and follow our simple WIZARD tutorial to install your system. Contact DSC to learn more about our CARE home alone children calling service and phone systems.